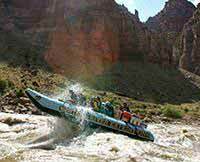 Western River provides a great trip for Colorado River Rafters. Our three guides (Mike, Malayna, and Sam) far surpassed any expectations I had. Informative, affable, and focused on guest service all the time! Give them big kudos and a BIG raise! 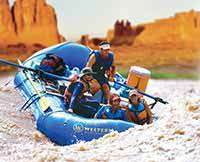 The Cataract Canyon itinerary was superb. Two scenic flatwater days getting used to the river and getting to know the others in the group prepared us well to enjoy the rapids experience. Then the lazier fourth day on the river was enjoyable. Being able to fly over the beaches where we had camped and see it all from the air was simply gourmet icing on the pastry! All of the WRE personnel I dealt with were fantastic.